Your dog's skin is her first line of defense against germs and contaminants from the outside world. Infections of the skin can lead to deeper infections if they leech into your dog's bloodstream and begin attacking his body from the inside. You should keep the best dog skin infection treatment in your canine first aid kit for use at the first signs of infection. You'll also have to seek medical treatment from your vet if your dog contracts a skin infection. While it may just look like a small little spot on Fido's skin that doesn't seem to be much of an issue, skin infections in dogs are a serious matter and the smallest skin infection can spread quickly. If you notice something on your pet's skin that just doesn't look right, it's best to get in to see your vet right away. * Click on the best dog skin infection treatment for more information and prices, or scroll down below for details. There are several causes and dog skin infection types, but majority of products will work regardless of the reason. Nevertheless, your veterinarian should always be the first source on what best dog skin infection treatment to use and how to use it. Before you pick the product, you'll need to figure out your dog skin condition and reason for infections. Most commonly, these skin infections in dogs that come with itching are caused by fleas (and subsequently dog flea dermatitis allergy), atopic dermatitis, staph, parasites, Demodex mites (mange, or other mites in dogs), Sarcoptes mites (or scabies in dogs), allergies and finally bacteria, which is often the result of your pooch having one of the formerly mentioned dog skin conditions. These seven mentioned best dog skin infection treatment products will treat majority of these skin infections in dogs in different ways. You have a choice to pick either dog shampoo, spray, liquid solution, wipes or ointment. 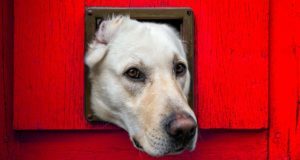 What you choose depends on how and where you're going to use it, and the type of dog skin infection your Fido has. Consider if the reason your dog is itching is due to a more serious health condition that needs a specific treatment. Dog skin conditions and problems can be caused by things like cancer, Cushing's disease, autoimmune disease, hyperthyroidism or other hormone imbalances in the canine's body. While they usually do not cause itching in dogs, they may be interrelated with the above mentioned skin infections in dogs, vets say. This is why it is so important to seek veterinary care as soon as possible. You can use the best dog skin infection treatment products while you're waiting to get an appointment, but your vet can give your dog a thorough examination to see if there is any underlying conditions that lead to these dog skin conditions in the first place. Why use over-the-counter dog skin infection treatments? The reason many pet owners choose to use some of the best otc dog skin infection treatments is because more and more dogs are becoming resistant to prescription antibiotic treatments that veterinarian will prescribe. Due to overuse, the bacteria has become resistant to these treatments, and some over-the-counter products work better. According to new research, veterinarians now often recommend using topical treatments for skin infections in dogs instead of the expensive, prescription-based antibiotics. While topical treatments like the ones mentioned here – ointments, as well as sprays and solutions among the best dog skin infection treatments – should be the first step towards battling skin infections in dogs, some vets also recommend combining a few options, specifically using antiseptic wipes and also bathing your dog with antibacterial dog shampoo (like the Curaseb one) to treat these infections more effectively. Some pet owners are worried that bathing your dogs with skin infections will dry out their skin and cause more problems, but according to studies and veterinarians, that is a misconception and it was never true. Weekly, and even daily baths are still recommended. These baths will rid your dog from possible causes of skin infections, bacteria, allergens and other agents like yeast and mites. Daily bathing can work well for skin infections in dogs. Occasional bath during a week, paired with topical treatments like an antimicrobial spray or medicated solution have been observed to be very effective as well, and vets recommend trying several approaches. Several research studies have shown the same; for example, the 2015 study by Olivry proves that combined treatment works best for dog dermatitis. So make sure to discuss this with your own veterinarian, get one of the best dog skin infection treatments and preferably several different types, and develop a plan of how you're going to tackle this on your Fido. Always use the products as directed and as advised by your veterinarian. 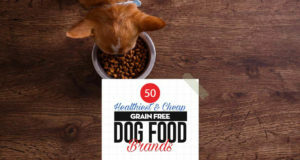 The first on the list of best dog skin infection treatment products is a brand that's already established itself as the top product for ear infection treatments for dogs. Pet King Brands’ Zymox Pet Spray with 1% Hydrocortisone contains the patented naturally-derived LP3 Enzyme system of Zymox which is a technology that destroys bacteria, fungus, and many viruses. No prior cleaning to the affected area is required in its application. It works for dogs and cats, and is recommended for atopic dermatitis, pyoderma, wounds, ringworm, hot spots, and other skin infections. The addition of hydrocortisone reduces inflammation of affected areas. You will find Pet King Brands’ Zymox Pet Spray to be effective for the treatment of skin irritations due to allergies, as well. This is so because this medication works on skin problems of various origins, not just viral, bacterial, or fungal. And it works fast. Skin that’s raw from intense scratching will dry up in days, there will be an almost instant relief from itching, paw-chewing will stop in a matter of hours, and infections and breakouts will clear up in a week or less. You may have noticed that this best dog skin infection treatment comes in a very small bottle, so while it’s pretty effective, it’s pretty expensive, too. However, if you factor in the cost of constant vet visits and prescription medicines, the price of the Zymox pet spray would still come out a lot cheaper. Durvet Nu-Stock Ointment is used as a topical solution for typical skin irritations, including itching, mange, ear mites, ringworm, swelling, loss of hair due to constant scratching and chewing, wounds, bruises, and burns. It is applicable to dogs, cattle, and horses. Unlike Vet Basics Lime Sulfur Dip, this best dog skin infection treatment does not involve the tedious process of diluting, dipping and drying. It’s simply topically applied on the affected area and reapplied after 3 days until the affected area completely heals. Possibly one advantage of Durvet Nu-Stock Ointment over others is its wide range of application. For instance, medications for wounds and mite infestation are usually two different things, but Durvet brings the two in just one ointment. The strong odor of sulfur might not be what you would prefer, but this foul-smelling ointment works. When applied on your pet’s fur, it would look like your dog got smeared with some greenish yellow goo. But healing is fast, and that’s all-important. Baxley Lab’s Curaseb Chlorhexidine Medicated Shampoo works on a wide range of skin maladies caused by fungi and bacteria. The active ingredients in this medicated shampoo are chlorhexidine gluconate and ketoconazole. It’s made in the USA and is highly recommended by veterinarians to treat yeast infections, ringworm, pyoderma, skin allergies, and other skin irritations and itching in cats and pets. You will find Bexley Labs Curaseb Antifungal & Antibacterial Chlorhexidine Shampoo potent enough to have a quick effect on your pets’ skin problems but mild enough not to cause redness or further irritation. It’s gentle even on slightly broken skin. It contains no soap, but lathers very well. It also has a pleasant cucumber melon scent. This best dog skin infection treatment will help to provide instant relief for dogs suffering from intense itching. It will effectively stop their vigorous scratching and alleviate their discomfort. For optimum efficacy when using this shampoo, we recommend leaving the lather on the dog’s skin for several minutes before rinsing, especially for cases of ringworm and more severe skin diseases. Chlorhexidine Gluconate is the active ingredient in SynergyLabs Veterinary Formula Clinical Care Antiseptic & Antifungal Spray. It is a biocide with antibacterial and antifungal properties. Aside from this biocide, this medicated spray also contains keratin and aloe vera which both help in healing and conditioning the scalp. It is effective against dermatitis, pyoderma, ringworm, and other skin irritations and breakouts of various origins. We think that SynergyLabs’ Veterinary Formula Clinical Care Antiseptic & Antifungal Spray is much easier to implement as treatment than shampoos of the same formulation. Spraying a dog every day is understandably much simpler than bathing an unwilling dog twice a week. We also think that because of that relative ease, there’s better compliance to procedures with this spray than with medicated shampoos. That eventually brings about better results within a short period of time. There’s no question about the convenience of applying medicine through a spray. In rare instances, however, this product came with a defective nozzle. That didn’t happen a lot, though, and those pet owners either got a refund or opted to use the medication by dabbing on their pet’s infected spots. This would also work fine when applied by dabbing but would not be as convenient as when it was sprayed on. Revival Animal Health’s Vet Basics Lime Sulfur Dip is an antimicrobial and antiparasitic at the same time. It is sulfurated lime solution, which works on diseases caused by microorganisms and parasites. It’s a concentrated liquid so it has to be diluted first before application. You may place the diluted liquid in a pail and dip the pet into it or use a sponge to apply the diluted medicine on the affected spot. This had been widely used for treating pets with ringworm. If you had been through a long battle with ringworm in your pet and have used and spent a lot for prescription medications but nothing worked, then Revival Animal Health Vet Basics Lime Sulfur Dip could be the solution you’ve been looking for. Vet Basics Lime Sulfur Dip has had similar success on scabies, mange, and raw skin caused by insect bites and constant scratching. It must be mentioned though that sulfur dip has the lingering smell of rotten eggs. Other than that, it’s safe on most pets including dogs, very effective, and quite cheap. Similar to Curaseb, this antiseptic and antifungal spray from Pet MD contains chlorhexidine and ketoconazole as its active ingredients. It also contains aloe vera, which helps soothe the skin. This is used by directly spraying on the affected area. It is used to treat minor cuts, insect bites, dermatitis, pyoderma, ringworm and allergies. The Pet MD Antiseptic & Antifungal Medicated Spray has essential fatty acids and Vitamin E, which are beneficial to the skin. It is a non-stinging formula and is gentle enough to wipe around the face and clean folds, underarms and groin area. It cleans, deodorizes and relieves itching. This spray has a slightly sticky consistency, which helps to keep the medication adhere to the skin better. 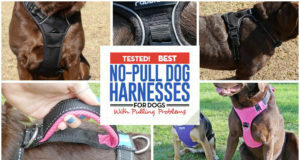 It effectively stops dogs from chewing and licking their paws. There are two reasons for that. The medicine has an awful taste that discourages dogs from licking. And, as soon as the medicine starts working, the itchiness is reduced. Some dogs are wary of the spray and pump idea, so if your dogs are like that, you may use cotton swabs to apply this best dog skin infection treatment. Sulfodene 3-Way Ointment for Dogs is a treatment for superficial cuts and wounds, scrapes, bites, and skin irritations brought about by scratching or chewing. Its application prevents infections by providing a barrier between the skin and germs or other disease-causing organisms. It also provides relief from pain and hastens healing. The active ingredients are benzocaine and salicylic acid. It also contains botanical oils to help in skin rehabilitation. If you’re concerned that your dogs would lick the ointment off and get sick, you may want to know that dogs would always try to lick their topical medications. Rest assured, though, that licking Sulfodene 3-Way Ointment for Dogs once or twice will not make them sick. They’d soon find out how awful the taste of this medication is, and that would stop them from further taking a nibble. One good thing we know about this best dog skin infection treatment is how well it relieves the itchiness or irritation and allows the skin to heal. Some dogs may need a cone or have to be watched to make sure they don’t mess with their medication, but it’s generally well-tolerated by dogs. Disclosure: We may earn affiliate commissions at no cost to you from the links on this page. This did not affect our assessment of products. Read more here and find full disclosure here.